Just as with any important decision you make, you should estimate the cost of custom CNC machining before having any work performed. That way, you can budget correctly for high-quality results. As you research different CNC fabrication companies, you will see various prices. Read more! If you feel overwhelmed with other responsibilities or perhaps do not have someone in-house with the appropriate qualifications, you can always outsource custom CNC machining operations to a reputable company. 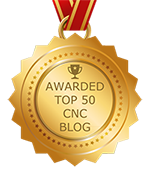 Not only will this reduce your stress level and save both time and money, but you end up with a CNC precision part or component based on your specifications. Read more!